I so wish we could have done it this year but it looks like we will be purchasing most of our starter plants. Looks like you will have an awesome variety of veggies! 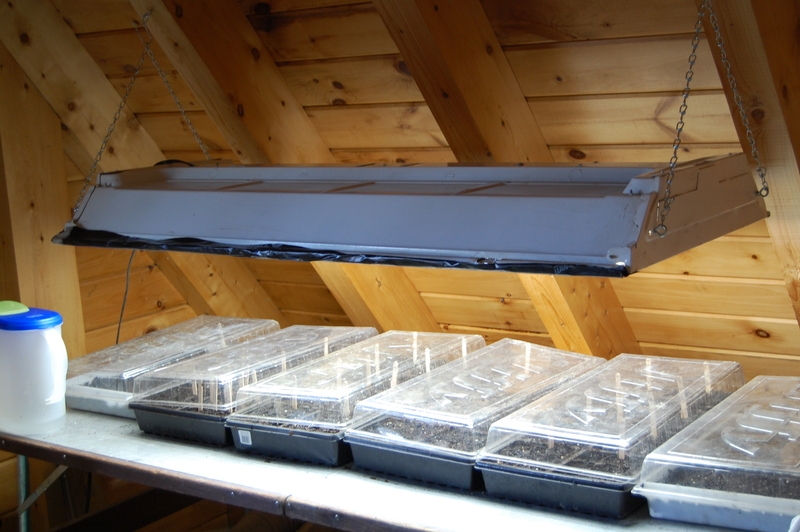 Make sure you move those lights as close as possible to your baby plants once they sprout! 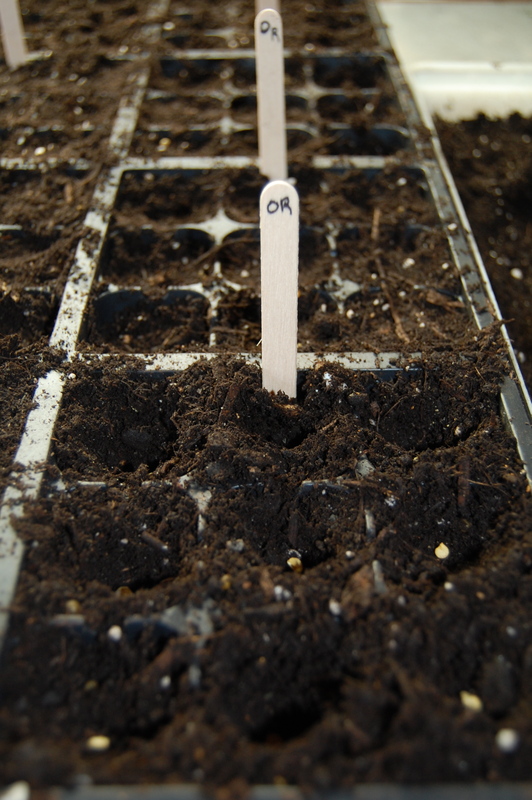 No more than 1-2″ above the leaves is ideal; otherwise, you’ll end up with really spindly, weak plants. Thanks, Kelsie! As soon as we had 50% sprouted, we lowered them. Wonderful! I’m curious about turning the lights on while they germinate, though. I’ve always kept mine out of direct light until they’ve germinated, and then put them under the lights. I wonder which way works better?! Good luck with the garden! 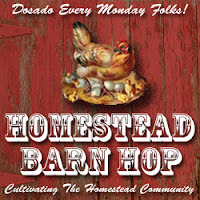 And thanks for linking up to the Barn Hop!! 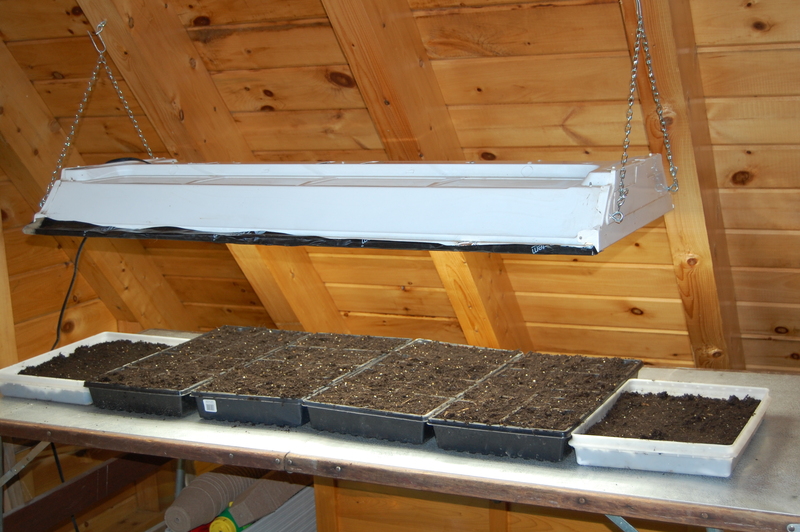 Since the room where we do seedlings is usually very cool, we run the lamp for extra warmth. With the veggies that have sprouted,we have had a 100% success rate. :o) And we did lower the lights once most things were up and removed the greenhouse caps.